Put Your Graffiti On Me är en typisk Katerina låt och jag måste säga att första gången jag hörde den tyckte jag inte att den var bra. Men nu när jag hört den några gången är den bra. Dock fattar jag inte direkt texten men ändå, den svänger i alla fall! Hiss eller Diss, vad tycker ni om hennes nya låt!? Kat Grahams låt "Put Your Graffiti on Me" kom ut igår på iTunes. Hon har även släppt musikvideo till låten! Mer info om detta kommer ikväll, hoppas ni kan vänta..
Kat Graham pratar on sin nya singel! I videon får vi se Kat Graham prata om sin nya singel, Bonnie och mycket mer! Kat Graham uppdaterade precis sin YT-kanal med goda nyheter! Hon ska snart släppa en ny singel och vi på TVDF längtar så mycket, gör ni?! Jag kan i alla fall knappt vänta tills jag får höra hennes underbara röst i en ny egen låt! Den 26 oktober så var Katerina Graham Elton John’s 10th Annual Aids Foundation Benefit i New York. Katerina Graham har släppt ut en ny låt på hennes youtube sida. IGN TV: Bonnie really got to step up at the end of Season 2. 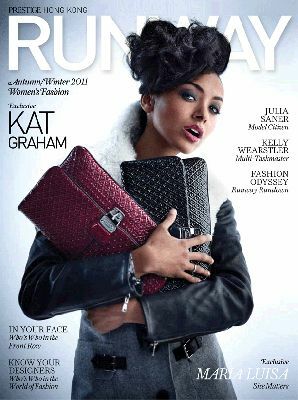 Kat Graham: You know, you always wait for that moment as an actor. You feel like you can really showcase some cool stuff. They really gave me so many great things to work with and so much hard work to do. I was just so excited that they did that. IGN: Things have been going pretty good with Jeremy and Bonnie – Well, when he wasn't dying. But now you've got quite an issue to deal with, because it's one thing when you have a tangible person to compete with, but you've got a couple of invisible girls out there. Graham: I know, I know. If my boyfriend had a couple ex-girlfriends in the picture, I know that I would just lose my marbles. So I don't know how Bonnie's gonna handle it. Hopefully, she's not as crazy as me. IGN: From what we heard, Jeremy's keeping things very close to the vest, and he's not telling you. IGN: On the other hand, is it fun for you, in real life, to have those girls back on set? Graham: Oh my gosh, yeah. Kayla Ewell is one of my closest friends, and Malese Jow is such an incredible person and artist. I just love that they're really giving them a kind of an open door again to come back in. IGN: What is Bonnie up to as the season opens? Graham: I can't really say, because I know that's what everyone's kind of waiting on and I really want it to be a surprise for the fans. But I will say that she really thinks everything is where it left off, I will say that. So any new revelations or anything, she's completely unaware of. IGN: This has been referred to as the "season of the originals" by your producers. Have you been intrigued to see the things that they're putting in the script? Graham: I am so intrigued! I'm like, "Where is this going!?" I'm so excited! I definitely want to see some stuff with Klaus, and Joseph Morgan gets to do his thing this season. And good for him! IGN: Your show is so impressive to me as far as the twists, the turns, and going places you don't expect it to. Is it the same for you working on it? Graham: Every time I get a Kevin Williamson, Julie Plec, Caroline Dries script -- any of our amazing writers -- every time I get a script from them, I'm just like, "Oh my gosh! Oh my gosh! Holy s**t, this is really happening!" Yes, I absolutely do. I literally sit on my bed and don't get off it until I've read the script from page to page. Kat och hennes pojkvän, Cottrell Guidry i Richie Arpino Photoshoot. Vi på thevampirediariesfans säger grattis till Katerina Graham som blir 22 år i dag! Kat Graham på CW red carpet! Nu finns de en Behind The Scenes video från Kat's phothoshoot med OP. KLICKA HÄR FAR ATT KOLLA PÅ DEN!